Every year I like to make something special for my daughters for Valentine’s Day. 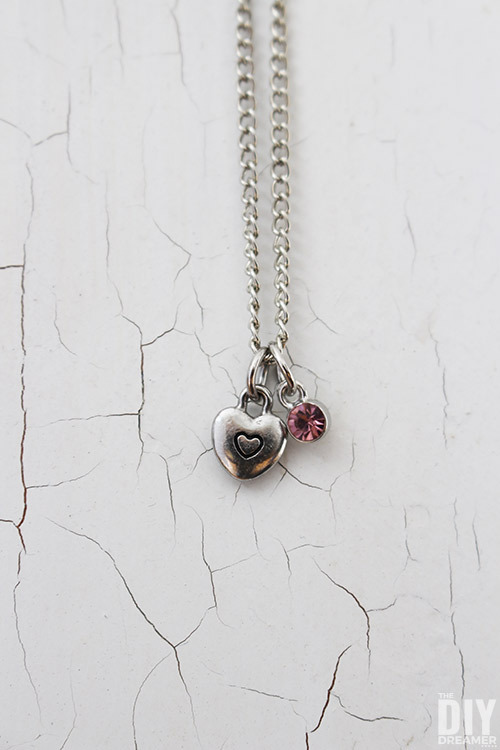 This year I made each of them a Valentine Heart Necklace. Not only are they super cute, their are very cheap to make. They cost less than $3 to make each! Option 1: Using a pre-assembled chain. Option 2: Make your own chain. 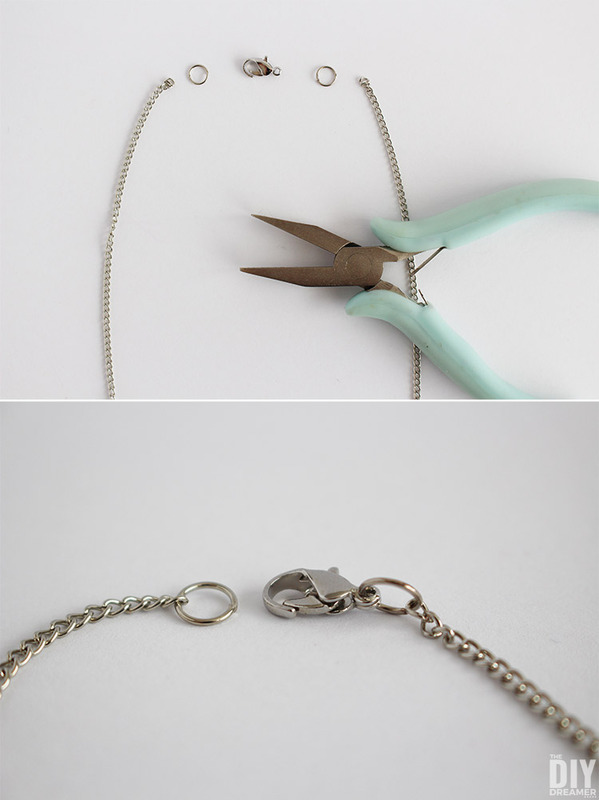 If you need to make your own chain follow these steps. 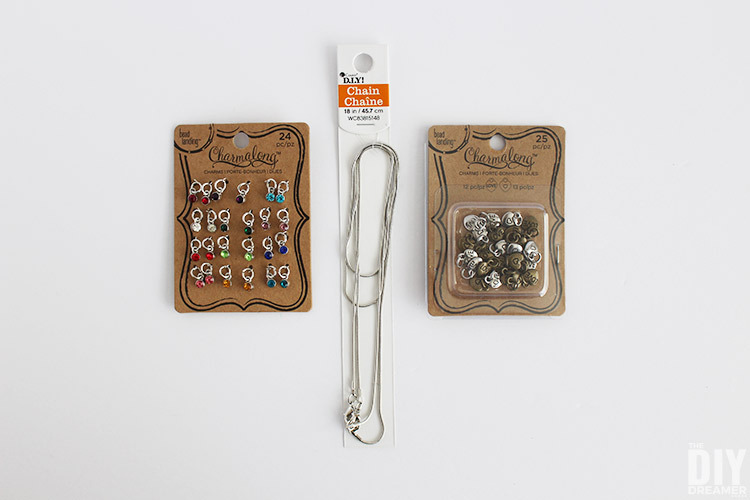 Step 1: Since I like chains on the longer side, I used my jewelry cutters I cut the chain 18″ long. Step 2: With the help of my flat nose pliers, I opened the two jump rings. To attach the jump rings, I inserted the opened end of one of the jump rings onto the chain and closed it with the pliers. I placed the opened end of the other jump ring onto the other end of the chain. Then I looped on the end of the lobster clasp. I used my flat nose pliers to close the jump ring. 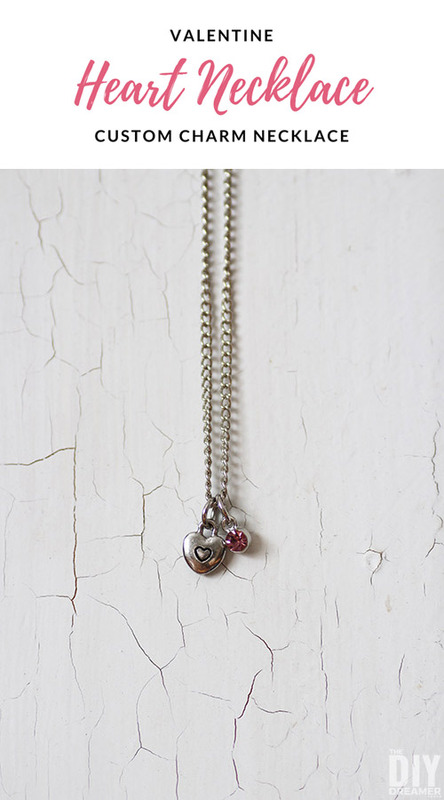 You can see this step in more details here: $3 DIY Charm Necklace. Now you have a chain! Time to follow these steps. 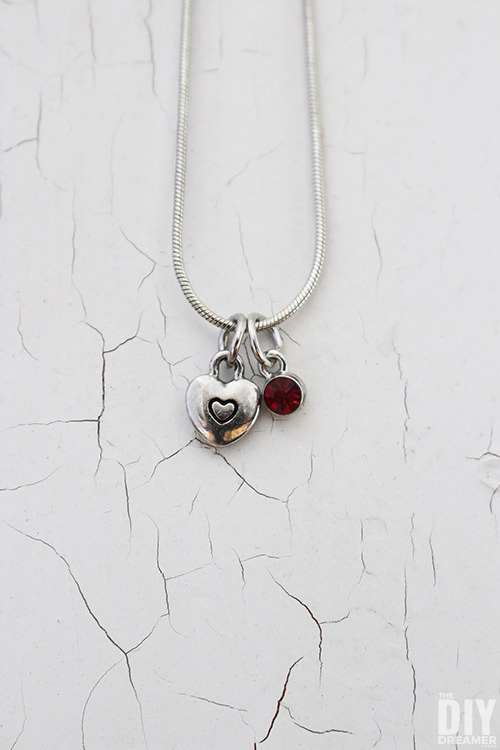 Step 3: Proceed by adding charms to your chain! If the end of the charms are large enough, you can just slide them on from the end of the chain. 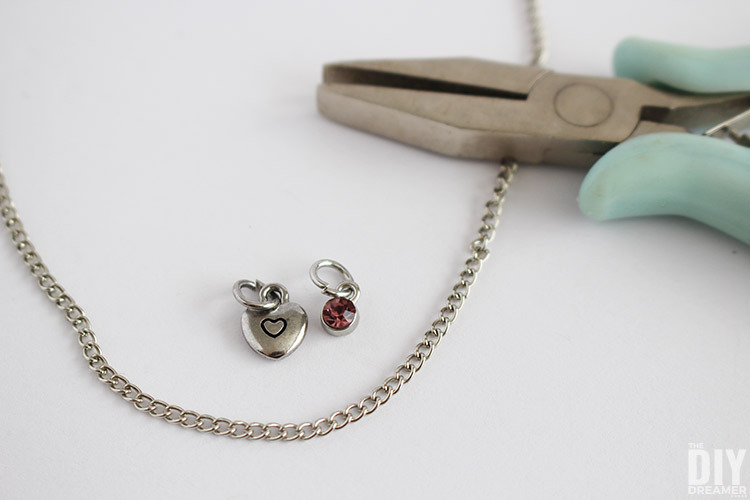 If not, use flat nose pliers to open the jump rings that are attached to the charms and insert the chain and proceed to close the jump rings with pliers. Hey, do you want to see more Valentine ideas? 30 Sweet Valentine’s Day Ideas to Make, Bake, and Create. I hope you enjoyed this tutorial and all these great Valentine’s Day ideas! Make sure to let me know if you try any of them out! 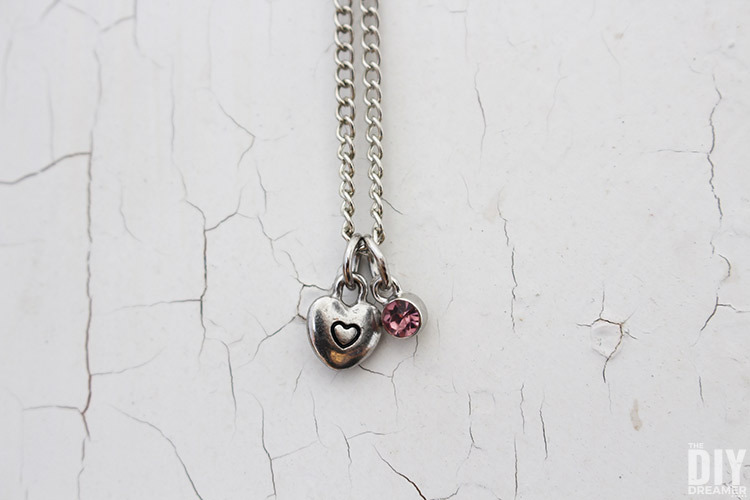 My daughters would love to receive a heart necklace. What a sweet idea. What a pretty idea for Valentine’s Day Christine! Simple and lovely! Super cute, Christine! 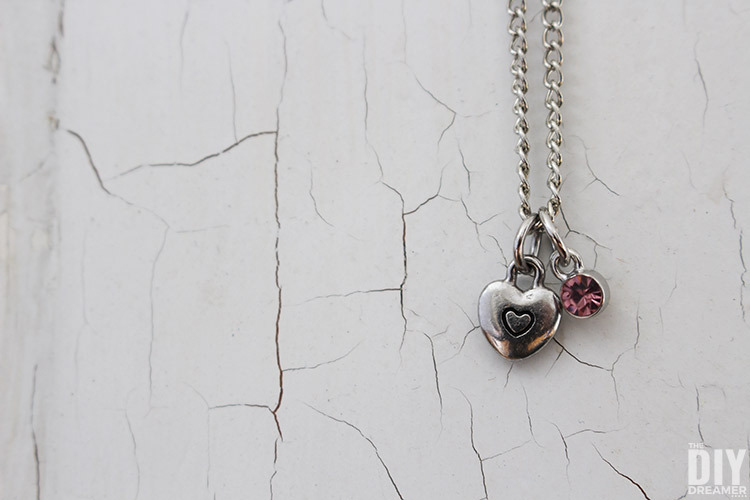 Your girls are going to love this special gift from their momma! 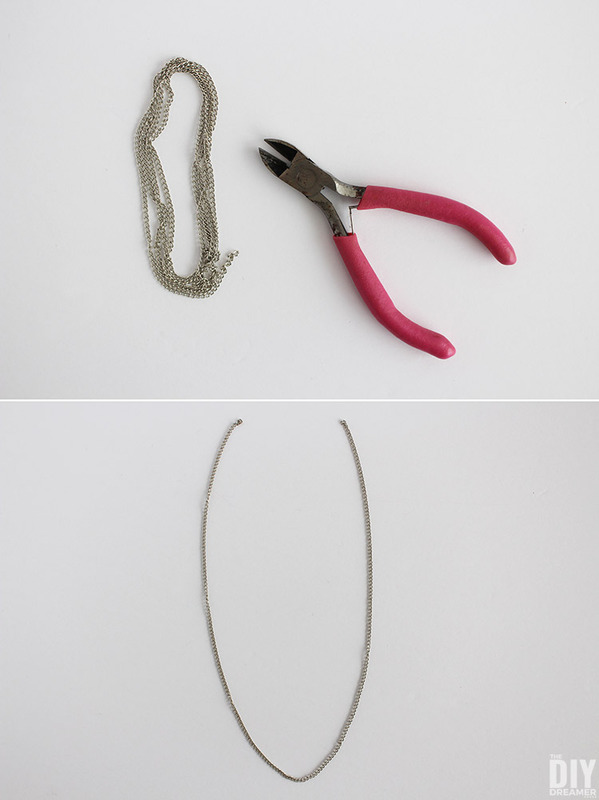 What a sweet & simple necklace- and a great idea to make it yourself. I love the personal touch! What a great idea! 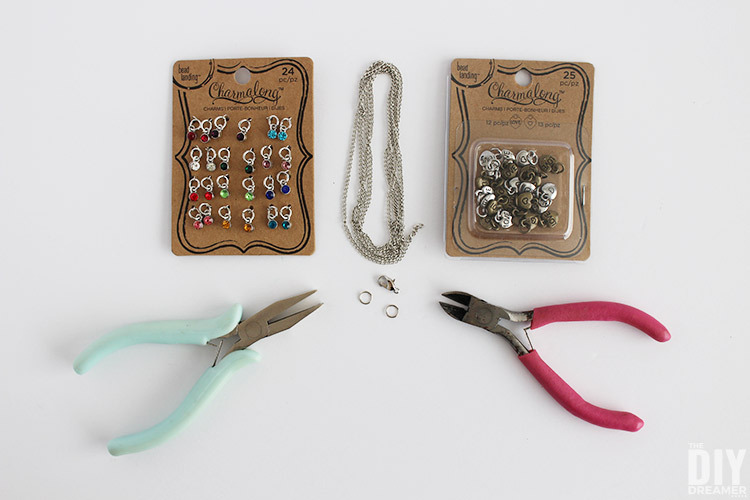 Who knew making jewelry could be so simple. Love this. This is such a beautiful yet simple idea! I love this. My daughters would loooove a necklace like this! What a pretty necklace and a great craft! 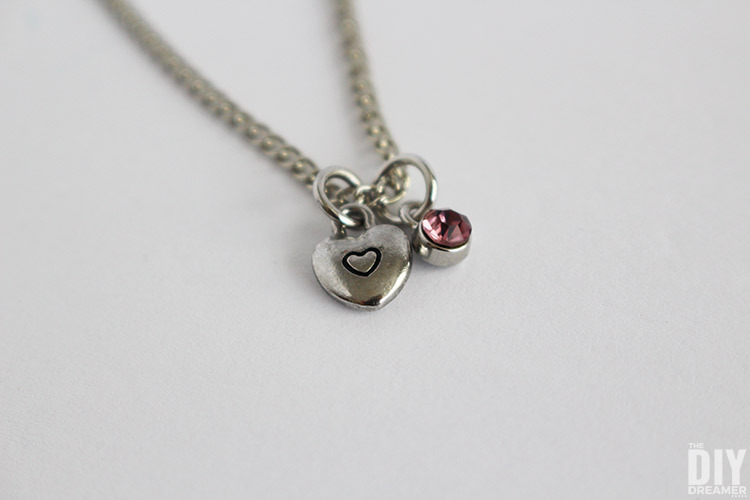 I love dainty and meaningful jewellery and this is very sweet! These are so cute, perfect for Valentine’s Day! This is my kind of jewelry, really pretty and it goes with everything!